This cute little embroidery hoop turkey could hang on your front door and welcome all of your guests to Thanksgiving dinner. He would be a great use for some of your colorful ribbon scraps and a great way to keep your little guests busy while dinner is still in the oven. 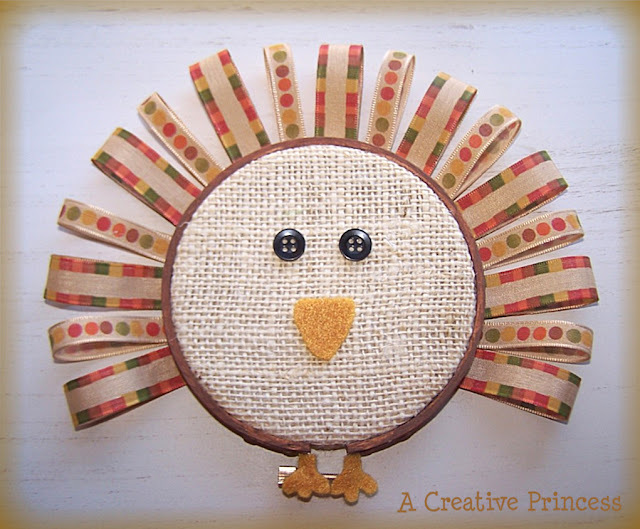 You can find out how to make an Embroider Hoop Turkey over at A Creative Princess.